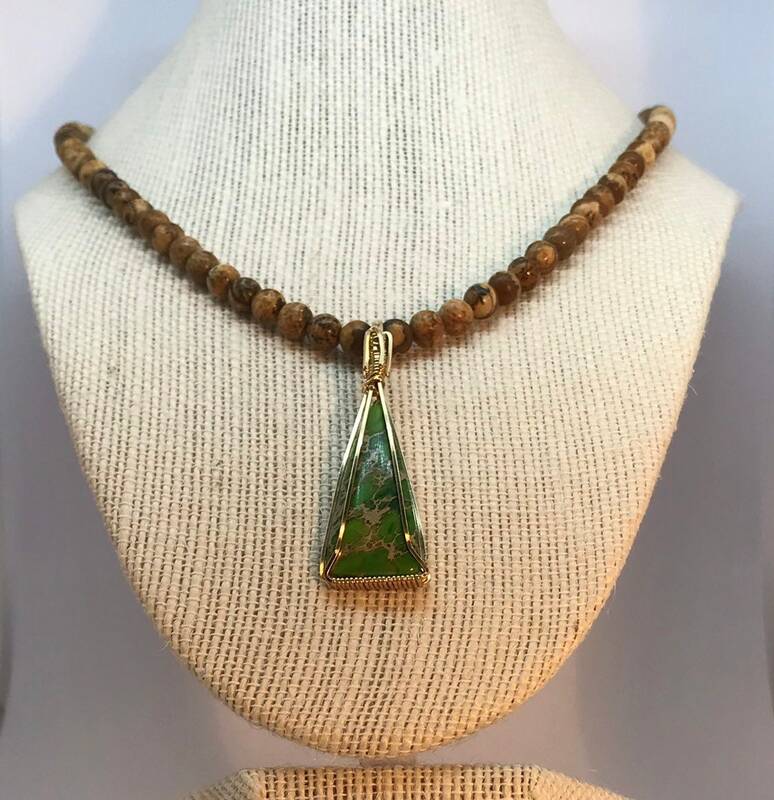 This beautiful handcrafted Picture Jasper beaded necklace with Green Sea Sediment Jasper pendant and matching earrings is 19 inches long and is created with 14k gold filled findings. The necklace is created with 6mm and 4mm beads. The attached pendant is 2 inches long from top to bottom and 5/8 of an inch wide. The pendant on this necklace is not removable. The pendant is hand wire wrapped with 14k gold filled wire.